10K Price Reduction! 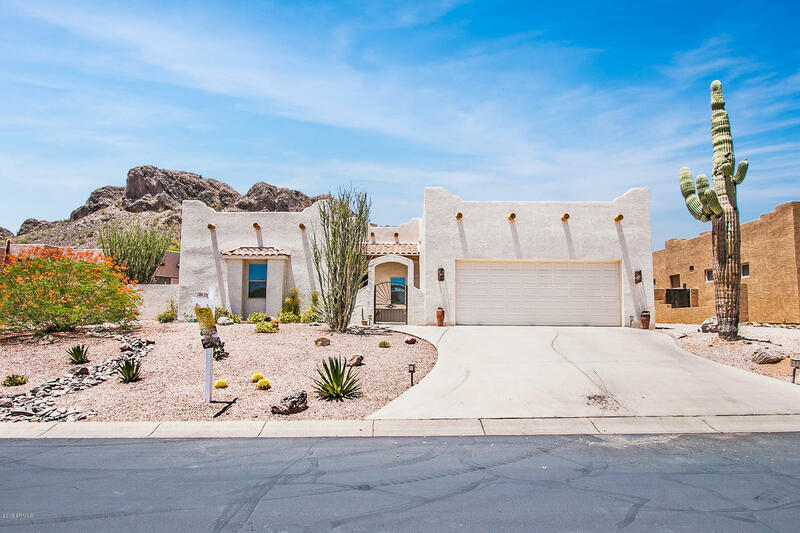 MOVE IN READY,ENERGY EFFICIENT w/SUPERSTITION & DINOSAUR MOUNTAIN VIEWS! Priced to sell! Located in the very popular Gold Canyon East our home boasts 3-bedroom, 3 full bath & 2788sq.ft w/open concept, perfect for entertaining or just spreading out. You'll love the updated kitchen, seamless Quartz counter-tops, Italian porcelain flooring includes SS appliances & pot filler. Updated MB w/walk in shower, epoxy garage floor, soft water system, tankless water heater, high Seer HVAC units, 24 solar panels (6kW) OWNED lets you reap the benefits of low energy bills! Beautiful extended cover patio with custom swimming pool, Gas fire pit with awesome Superstition viewing area. This home is perfect for lock and leave or yr. round living. Welcome Home!